THE BIGGEST ever Saturday at the Liqui-Moly Bathurst 12 Hour is here for the fans in 2017, and the off-track excitement is likely to match the level on it. The first ever Pirelli Top-10 shootout headlines the Saturday action, the 10 fastest cars from qualifying to progress to the shootout this afternoon. In a continuation of the great Bathurst tradition, that one magic lap on a Saturday afternoon will set the first five rows for the 2017 race. Before fans enjoy the fastest cars and best drivers going against the clock, a massive Autograph session will be held behind the pit lane – enabling attending fans to meet their heroes this weekend. To be held between 2:00pm and 2:30pm, the autograph session will see drivers assembled behind their pit garages at the back of pit lane. Special Bathurst 12 Hour posters will be on hand for fans to collect. Paddock access is free for all ticketed fans this weekend meaning anyone can access the session this afternoon. As well as meeting the fans in the Autograph session, spectators can visit the Heineken Rooftop Bar – an incredibly popular addition to the off-track activities on site this weekend. Located on the pit roof (with access via Tower One), the bar is one of the best places to watch the race – with clear views of the bottom of Conrod straight, Murray’s corner and the pit straight rush towards turn one. The Heineken bar is also free to access for all fans this weekend. In Harris Park the all-new Manufacturers Walk area has proved another popular addition, some of the world’s most stunning cars on show – headlined by an incredible Ferrari marquee that features cars like the F40, F12tdf and 950-horsepower LaFerrari. For those unable to attend today, 7mate will show the Pirelli Shootout LIVE and FREE around Australia from 3:30pm. 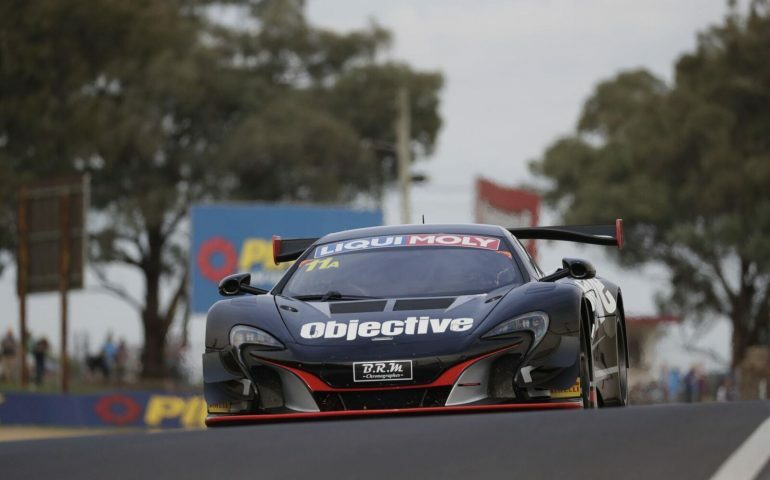 SKY Sports NZ will also show the Shootout, while the rest of the world will be able to view for free via the free live streaming produced via the Liqui-Moly Bathurst 12 Hour website.